How is Dibond printing different from using metallic photo paper? Home/How is Dibond printing different from using metallic photo paper? With the Dibond printing process, we print your image directly onto the surface of the metal using high-resolution flatbed inkjet printers. The metallic effect shows throughout the image; our UV-cured inks are not 100% opaque, which allows the grain and luster of the brushed aluminum Dibond surface to shine through. The lighter the color, the more grain is visible. 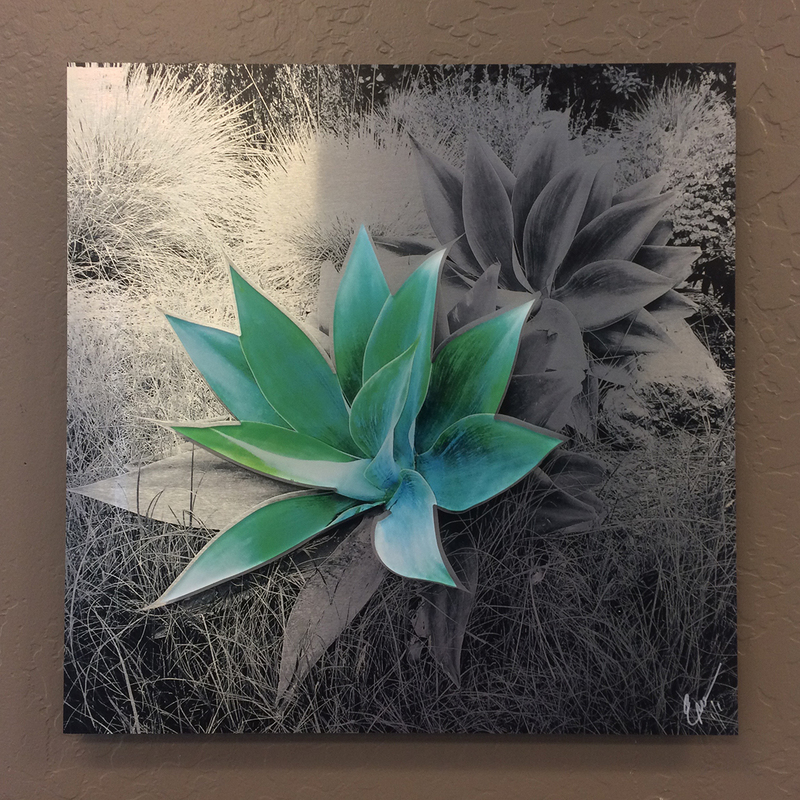 Once we reach a pure white, you will see the brushed silver surface of the Dibond aluminum panel shine through, giving the print unique highlights and texture. Don’t be afraid to give your creation some attitude – use Dibond printing to take it to the next level. But maybe reconsider that portrait print of Grandma smiling. She’ll end up with silver teeth, and nobody wants that! On the other hand, Kodak Metallic HD Photo Paper gives your images an overall pearlescent metallic look, perfect for monochrome photography or bright, colorful images where a bit of extra sparkle and pop is desired. Since this is one of our true photographic processes, you may achieve higher definition and detail over Dibond, but Kodak Metallic HD Photo Paper does not feature any metal grain. White will still be close to white, leaning towards a very light silver tone.